Christmas is just eight days away and the stores are full of different gift packs filled with beauty products ready to be gifted this holiday season. But instead of giving a cheap, chemical filled box of lotions and potions - why not give something you've created yourself? 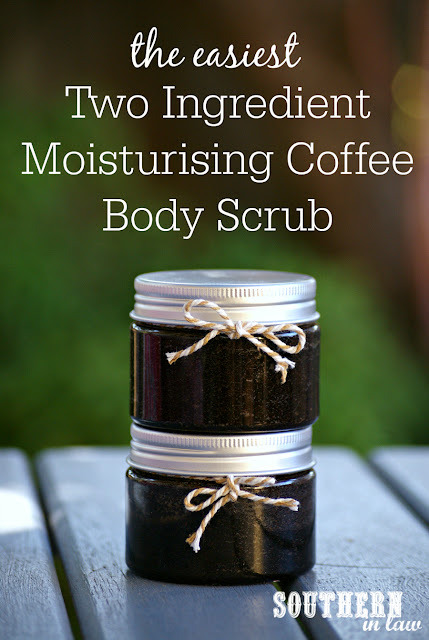 My sister and I have been making this scrub for months - and I only just realised I hadn't ever shared the "recipe" with you. I say "recipe" because, with just two ingredients, I don't know if it even qualifies as one! 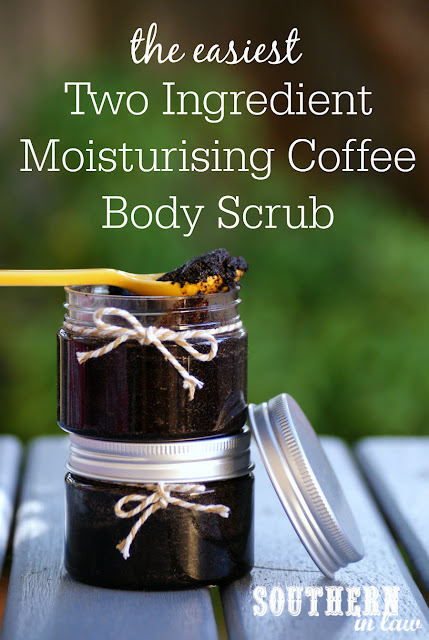 This homemade body scrub recipe not only exfoliates, but moisturises your skin to leave it feeling silky smooth. Once you've made it and realise how easy (and cheap!) it is, you'll be wondering why you ever bought body scrubs in the past! Now, when I say ground coffee, there are a couple of different options you can use! You can either grind up whole coffee beans in your food processor or blender or you can use the coffee you find inside a coffee pod (from a nespresso, keurig, ALDI coffee machine or dolce gusto etc machine). 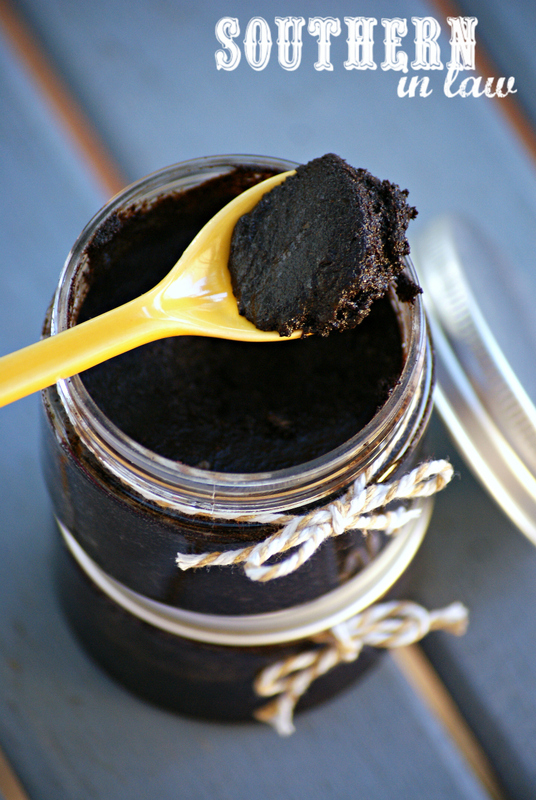 You'll want to use roughly equal parts coffee grounds and coconut oil (for example 2 tbsp of each). Simply cut open the plastic part of your coffee pod, peel off the seal and pour the coffee out. Most pods will also have plastic filters so just take those out! 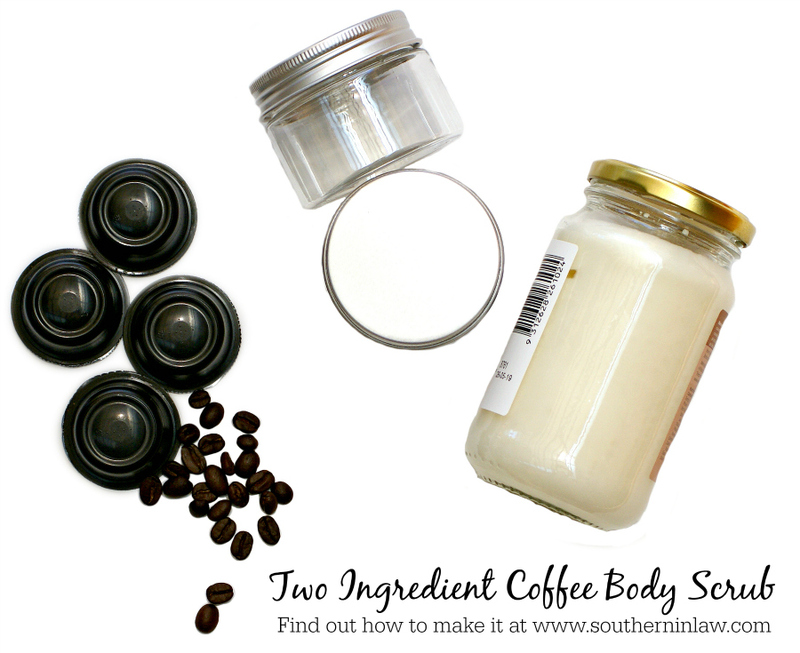 We use ALDI coffee pods for our coffee scrubs as they're cheap and just the right consistency. To make your scrub, all you need to do is get out a mixing bowl (or you can mix it straight in the tub you're going to store it in!) and add equal parts coconut oil and ground coffee (for example; our little tubs contained 2 tbsp coffee and 2 tbsp coconut oil). Mix it around to ensure everything's incorporated and add a little more coconut oil or coffee to get the texture you desire. As it's primarily made of coconut oil, the consistency will change depending on the temperature, however, you want it to be quite thick so you can scrub away! 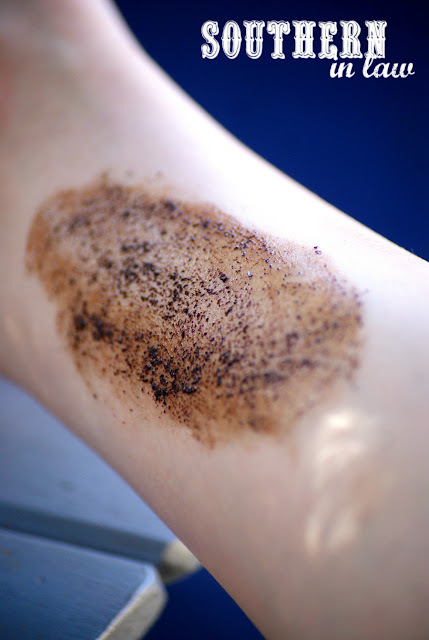 To use the scrub, all you have to do is grab some out of the jar and scrub away! It will look bad when you're using it, however, I promise you that you will not end up looking like you've had a bad fake tan. Even though the coffee is brown, it washes right off - leaving your skin feeling silky smooth! And that's really all it takes! Once your scrub is mixed up, pop on a lid and store it in your bathroom ready to use. If you're gifting it, attach a label and/or a pretty ribbon and you're ready to gift away! Why not create a little pamper pack for your gift recipient by combining the scrub with some comfy slippers and a good book (or magazine!) or some homemade treats to show them how much you care! But tell me, have you ever made your own beauty products before? What's one "beauty product" you simply cannot live without?